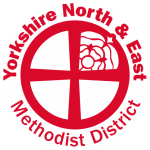 We have a Facebook page, where we normally post details of our services alongside any other relevant from our city and the world of Methodism. You can find it here: https://www.facebook.com/CentralMethodistChurchYork/ Make sure you ‘Like’ and ‘Follow’ to keep up-to-date. The hymns that we sing are an important influence on our theology and hence the way we lead our lives. Singing has been at the heart of the Methodist story since it’s beginnings. The preface to the hymn book states “Singing hymns in worship assists us in meeting with the living God and helps us to grow in faith, discipleship and fellowship.” The same can be applied to using the words of hymns in personal reflection and prayer. During Lent we’re going to be adding in a devotional and reflective element to our posts. Each day we’ll be posting the words of a hymn verse from our normal Hymn book, Singing the Faith. If you have a favourite hymn, or have spotted something that particularly speaks to you, or something that helps you during Lent, then let us know and we’ll include it. There’s 40 days to fill! Please get in touch with your suggestions using the comments form below. This entry was posted in Events, Transforming Central, Worship and tagged Facebook, Lent by Ian Miller. Bookmark the permalink.